All the 84,000 types of teachings given by our compassionate teacher Buddha Shakyamuni can be condensed into the Four Seals of the Dharma. In this book I will explain these four seals to the best of my ability. Before I begin, I’d like to define the qualifications for the Dharma teacher and the Dharma student. I will talk about the different types of teacher we can learn from and the need to integrate learning and reflection within meditation training. The teacher, who is sometimes referred to as the ‘spiritual friend,’ should possess numerous great qualities. In brief, he or she should have gone through the proper training of learning, reflection and meditation involving the view, meditation, conduct and fruition of each of the vehicles. The master who possesses confidence and experience in the view of emptiness will never err concerning the meaning of the teachings. Although some minor mistakes in the phrasing might occur, someone with stability in the view will be able to immediately correct such inaccuracies. The spiritual friend should, of course, be perfect in learning, reflection and meditation, but we, the students, also should never separate these three. Learning alone is not sufficient: what has been learned should be firmly established within one’s being through reflection. What is meant by the word reflection? It means to investigate and examine the teaching. So please discern what is said and what is meant. Investigate what the words and the meaning indicate. Understand the purpose as well as the benefit of the teaching—really work it over and ponder it. This kind of reflection clarifies our understanding of what we study. Without some degree of study and reflection, our devotion to the spiritual master and to enlightened beings is inconsistent. Likewise, our love and compassion for others tends to be fickle and transient. Especially concerning the view of the ultimate nature, without study or reflection it’s very hard to be really stable. Without a proper basis in studying and reflecting, we can easily be interrupted by doubts and hesitation. Maybe we don’t get completely wrong views, but subtle wrong views can easily sneak in. Therefore, it’s very important to gain some intellectual comprehension of the teachings through studying and reflecting upon them. However, if we simply leave the matter with learning and reflection we are still mere intellectuals. There is no doubt that we need meditation training. Meditation here means the process of bringing what we have learned and reflected upon into the realm of personal experience. When speaking of spiritual masters, there are four types of teachers that we should follow, all of whom are indispensable and can bring us great benefit. Later on in this book I will go into greater detail about these types of teachers, so here I will just briefly mention them. The first of these four categories is the ‘living lineage teacher,’ an actual physically embodied master who belongs to a lineage. The second type is the ‘teacher who is the scriptures of awakened beings,’ which includes the words of the Buddha and statements made by accomplished and learned masters of the past. The third type of teacher is called the ‘symbolic teacher of experience,’ our personal experiences gained from living in this world. To fully grasp the Buddhist teaching which states that samsaric existence should be discarded, we need to comprehend what the nature of samsaric existence is. By understanding the characteristics of our own daily life experiences we come to realize that samsaric existence is futile and unreliable, not something in which to put our trust. In this way, ordinary life becomes our teacher. It instructs us in futility and impermanence. That is what is meant by the symbolic teacher of experience. We need to meet, follow and take guidance from these three types of teachers. Ultimately, however, there’s only one true teacher. This is our enlightened essence, the self-existing wakefulness within ourselves, also called the ‘ultimate teacher of the innate nature’. All sentient beings within the six classes of living creatures possess this enlightened essence. Among these six classes, the three inferior types—hell beings, hungry ghosts, and animals—also possess an enlightened essence, a buddha nature. But because of their unfortunate circumstances or, in the case of animals, their stupidity, they are unable to put it into practice and realize it. However, anyone who experiences and realizes this enlightened essence does attain complete enlightenment. No matter how miserable or how deluded we may be, if we can bring our buddha nature into our experience and train in it, we can be enlightened. On the other hand, if we don’t experience and realize this enlightened essence, we will not attain complete enlightenment. To meet and realize this enlightened essence, we must utilize learning and reflection; most importantly, we need to practice meditation. This ultimate teacher of the innate nature is present in everyone, all beings, without any exception. Although this is so, we don’t acknowledge it; we don’t recognize it. That is why it is said to be shrouded in a veil of ignorance. We have to use that analogy, speaking as if there was something hidden which we need to see. Since our innate nature is locked up inside an encasement of dualistic fixation, we need to destroy this dualistic experience. Now, let’s examine whether this statement is true or not. In terms of destroying this encasement of dualistic experience: unless we use some method, some technique, it just doesn’t happen. The best method is of course effortlessness, but effortlessness cannot be taught. Even if we try, we do not become effortless automatically. Effortlessness just doesn’t seem to spontaneously take place. But this encasement in dualistic experience falls apart the moment we simply let be in a nondualistic state. Another way to look at it is to realize that every moment of ordinary experience is governed by habit, by conditioning. Our present habit is dominated by deliberate effort. We have therefore no choice but to use our present habit of being deliberate and using effort in order to arrive at effortlessness. When loving friends want to console or to relieve another’s pain, they say, “Relax, don’t worry.” This is really one of the finest statements that a person can make. Relaxation—especially mental relaxation—is something basic and extremely beneficial. It is human nature to strive for material gain, sense pleasures, a good reputation and appreciation from others, often in an intense or even desperate way. Unless we can relax and not be so caught up, our relationship to enjoyments and wealth becomes hollow and substanceless, almost as if we were robots. When someone whose heart is troubled and worried is, out of true affection and kindness, told “Relax, don’t worry,” this statement helps and can make a big difference. Telling someone to let go and relax can instill a sense of peace. This holds true not only for human beings but also for animals. When you show a genuinely loving expression on your face and kindly stroke an animal with your hand, these actions help it to feel at ease. Most important is to behave with love and compassion, expressing these feelings by being gentle and affectionate. The opposite of this is to act out of anger and to be aggressive towards others. This is why the perfectly enlightened one, the Buddha, said “Rest calmly.” In fact, teachings on the practice of shamatha sound very much like “Relax, don’t worry.” When we tell each other “Relax!” the power of just that one word has some kind of deep impact. Most people using the word don’t really know the true depth of the meaning of “relax.” We say “Relax!,” but that which prevents us from being relaxed is, on a coarse level, our own disturbing emotions. On a more subtle level, that which prevents an utterly relaxed state of mind is subconscious thought activity, an almost unnoticed undercurrent of conceptual thinking. When the Buddha said “Practice shamatha, rest calmly,” he was giving affectionate advice. He was telling us to try to be at peace with ourselves, to remain like an ocean unmoved by the waves of disturbing emotions. We must realize that the degree to which our mind is occupied by disturbing emotions generates a corresponding degree of pain, of feeling unsettled and upset. If there’s a medium degree of disturbing emotions, we feel that degree of pain. Even when there is simply an undercurrent of concepts, a subconscious flow of thoughts, this still prevents us from feeling totally at ease and remaining in the peaceful state of shamatha. So, the Buddha said, “Rest totally free, completely without any disturbing emotions, without any thought activity.” This practice is called shamatha, and in the Sutra teachings it is taught in incredibly great detail. All the practices of shamatha can be condensed into two types: shamatha with the support of an object and shamatha without any object. For a beginner it is difficult to simply be at peace, to rest calmly and free from a mental focus. This is because all our activities and ways of perceiving are dualistic, due to the habit of holding an object in mind. Therefore, the beginning practice of shamatha is to keep some concept or object in mind—not a complicated point of focus or multiple ones, just a single simple one. The most widespread and generally accepted form of shamatha with focus involves placing the attention on the movement of our breath or on an object like a pebble, a stick, an image of the Buddha, or the like. Focusing our mind on one simple object prevents it from being occupied by anything else. We are not planning the future, reacting to some past event, indulging in being upset about this and that or pondering some choice object of love or hate. By concentrating on just one thing, it is possible for a feeling of peace, relaxation and comfort to take place. Imagine a monkey locked inside a small box with four openings; it is really restless. It sticks its head out one side after the other, so rapidly and repeatedly that someone observing from the outside might think that there are four monkeys. Our present state of mind is very much like that restless monkey. It doesn’t linger in one place from one moment to the next. All the time our minds are busy, constantly thinking. When we practice this form of shamatha, focusing our attention on just one object, we become accustomed to this new habit after some time. That is how it is possible to attain stability in a calm state of mind, in shamatha. Compared to a state of mind that is occupied by nervous, restless thoughts, it is much better to be in a focused, relaxed state of peaceful attention. The benefits of this can be seen immediately: the very moment mind is simply focused on one object, the waves of disturbing thoughts and emotions are absent. Spending a session meditating in this way is like taking a break. It becomes a time of peace and calm, of feeling comfortable with ourselves. When our attention begins to stray away, when we are unable to keep an object in mind, we get distracted, and the feeling of being at ease also disappears. Then we remember the object of attention and continue as before, and the feeling of being at peace reoccurs. At this point of meditation training, please don’t believe that dualistic fixation is absent; it hasn’t collapsed yet. Yet, the moment of resting calmly with focused attention is free of gross disturbing emotions; it’s free of anger, attachment, and dullness. Say we’re focusing on a vase of flowers. We’re not involved in reacting against the flowers, in aggressively disliking them, which is anger. We are not attracted to them either, thinking how nice they are, which is attachment. Neither are we indifferent to them, which is dullness. Although the mind is free from the gross expression of these three types of emotions, there is still some sense of focus, of “me,” “that,” and “I’m focused!” As long as one retains such concepts of subject and object, dualistic fixation is not absent. In this way, it’s not yet the perfect type of shamatha, and it is definitely not the awakened state of mind. Nevertheless, compared to an ordinary disturbed state of mind, shamatha with an object is much more preferable, because it’s free from gross disturbing emotions. As beginners, we should stay focused on the object of attention. And yet we need to understand that as long as the mind stays focused on an object, something is still incomplete. Deciding “I will rest my attention on one thing” is quite beneficial. But it would be even better if we could simply rest our attention free from focus, in a total openness free from reference point. This is the second type of shamatha. As long as we remain focused upon a particular object, we retain the idea of “that” and “I,” meaning the one who focuses and the object of focus. There’s still some degree of fixation or grasping occurring. In Buddhism, grasping or fixating on duality is considered the root cause of samsaric existence. Thus, to practice a meditation that is an exercise in retaining dualistic fixation can’t be called perfect. Still, it is a stepping-stone. If we don’t learn our ABCs in first grade, we’ll never start reading. In the same way, once we grow accustomed to the practice of shamatha with focus, it becomes very simple to learn how to rest calmly free from focus. When our attention remains totally undisturbed by emotions, thoughts, and concepts, free from all reference points, and free from focus, that is called objectless shamatha. Having cultivated this state of shamatha, the next step is to embrace it by clear seeing, by vipashyana. The practice of shamatha, of being at peace, is by itself insufficient to obtain liberation from the three realms of samsaric existence. For this reason it is extremely important to carefully study the teachings, to reflect upon them and to become clear about how to practice. If we don’t do this, if we simply identify the ultimate meditation state with shamatha, even though we may become very stable, we may never go beyond a samsaric state called the ‘formless meditation gods’. We may remain here for a very long time, but when the experience eventually wears out we end up back in other samsaric states. So it’s very important to be careful, to see clearly. We should understand that shamatha practice has both pros and cons, a good side and a bad side. The good side of shamatha is that it is free from any disturbing emotions, free from the agonizing thought activity of the three times. The bad side of shamatha is that in itself it does not lead to liberation from samsara. It only becomes a cause for liberation when embraced by vipashyana. The realization of all the buddhas is described as the unity of shamatha and vipashyana, never as shamatha by itself. To reiterate, first of all, when we’re not involved in disturbing emotions and thoughts, there is an immediate sense of peace, of relief from suffering. The state of shamatha is unspoiled by thoughts of the past, present or future. By not thinking of anything in these three times, we are free from disturbing emotions. In addition to shamatha, there is also the practice of vipashyana, which means ‘seeing clearly’. The basic nature of our mind, our innate nature, is a wakefulness in which emptiness and cognizance are indivisible. Unless there is some clear seeing of this innate wakefulness, to merely rest calmly in a state of stillness is to essentially be ignorant. We need to do more than simply be free from disturbing emotions and thought activity. Excellent as it is, a tranquil feeling is not enough to clearly see our innate nature. Self-existing wakefulness, the unity of being empty and cognizant, is totally free from any fixation on subject and object. To rest evenly in that is called the unity of shamatha and vipashyana. So, straighten your back. Stop talking, and don’t force or control your breathing—just let it flow naturally. The realization of all buddhas is the unity of shamatha and vipashyana. The Buddha gave different levels of teachings aimed at different types of persons, so we should apply whatever teaching fits us. If you know how to practice the state that is the unity of shamatha and vipashyana, then you should do that. If you feel that you are better able or more ready to practice the state of shamatha without object, you should do that. And if you feel that’s difficult, that you must focus on an object in order for the attention not to waver from one thing to another, then practice shamatha focused on an object. We should practice according to our individual capacity, which is something we ourselves know. It doesn’t help to fool ourselves, thinking we can practice something that we don’t really understand. Be honest and practice in accordance with your own level. Then the session is not wasted. Meditation training is the opposite of the ordinary conceptual state of mind that thinks “I am here, the world is there.” Because it’s so different from our ordinary state of mind, it’s vital to study and reflect in order to eradicate any lack of understanding, misunderstanding or doubt that we may have about the correct view, meaning the correct understanding of how things are. If we, after arriving at certainty in the correct view, implement that in meditation practice, even a short period of meditation will have a great impact. On the other hand, if we don’t gain an authentic understanding of the view of the innate nature of things, the effect will not be that great no matter how diligent we are. In short, don’t separate learning, reflection and meditation, because these can clear away all the faults of not understanding, misunderstanding, and doubt. The word ‘conditioned’ in the first sentence means anything dependent upon causes and circumstances. All our experiences—visible forms, sounds, scents, what we taste and the textures we feel, in short, the whole world—are conditioned. Even the tiniest atom is conditioned. The entire universe is first created, it remains, it disintegrates, and becomes void. Everything that comes into being—mountains, plants, trees, flowers, sentient or insentient —is impermanent; there is nothing that lasts. Everything is impermanent; that is a fact. The Tibetan word for impermanence, mitagpa, ‘not lasting,’ means subject to change, perishable, fleeting, passing—like a bubble on the water. The Buddha said that when we look at a bubble in the water it looks like it is there, like it exists, but then the next moment it is gone. Everything is like that; every single moment is changing. Most people never question their day-to-day experiences. They accept whatever is felt and perceived as real. Without examining anything we will never penetrate beyond this illusion to see the actual state of affairs. Instead, we will regard everything that is impermanent as being permanent, what is unreal as being real. What an unfortunate, superficial and mistaken way of perceiving things! Actually, the whole world, all the people and beings, and on an inner level what we feel and think, all our pleasure, pain and indifference, is changing every single instant. It never remains constant. This is a fact; this is truly how it is. To regard something that is impermanent to be permanent is to be mistaken. To acknowledge what doesn’t last is to be unmistaken. The frame of mind that apprehends things to be permanent while they are not is confused. It is an incorrect attitude. All phenomena by their very nature are impermanent, unreal and illusory. To simply acknowledge that is to be undeluded. To briefly sum up the difference between these two viewpoints, the former is faulty, defective, incorrect, wrong. The latter, that does not regard things as being real and permanent, is correct, flawless and genuine. Some people they feel that if they can just have a good reputation it does not matter in the slightest whether they are poor or have delicious food. Then when their fame is destroyed, they have a heart attack and die. Each individual has some kind of vision of happiness. Some people aim at being appreciated by others, others at having material luxury. Nobody needs to learn or acquire these tendencies; they come naturally. We are happy with material gain, being praised by others, having a good name and pleasure. We are unhappy when the opposites of these four occur. These are called the ‘eight worldly concerns’. Most people are totally under the power of these eight worldly concerns for their entire lives. They employ themselves one-pointedly and with great perseverance in the service of these eight worldly concerns. During this lifetime they never seem to be able to go beyond this hope and fear. The drive to achieve something that is lasting and real is based on the idea that things last and are real. This mistaken idea makes us grab after something hollow and illusory. No matter what we try to achieve, it will never last. There are problems in this life, things that don’t work out exactly as we want them to, and we may complain quite a bit. Yet we do have a lot of freedom. Maybe we can’t say we have one hundred percent free will, but we do have a lot of choice as to how we act. This kind of freedom will continue until our last breath. When we die, however, there is no certainty as to where and how we will be reborn. What assumes control then is our previous karma, our disturbing emotions and habitual tendencies. The situation after death is not like right now, when we can decide where to go and what to do. It is not sure at all where we will be after we die, how many arms and legs we will have, and what we will eat. The only thing that will help us then is something we have the ability to do right now, at the present moment. Right now we are able to understand and identify the difference between what is good and evil. We can understand and gain some clarity about our disturbing emotions and what we do, and we are able to change and overcome our negative tendencies to some degree. We have a certain amount of control and power right now. If we don’t use this power now, while we have it, then the situation will definitely be more difficult when we are powerless. The Buddha couldn’t show us anything conditioned that lasts, nor can we find such a thing. We speak about different kinds of impermanence, coarse and subtle. Coarse impermanence involves the four stages of formation, subsistence, disintegration and voidness of the universe. There is also a more subtle type of impermanence which, being subtle, is harder to understand. For example, people won’t say we have aged before a lot of wrinkles have collected on our face. Actually at every moment the wrinkles are sneaking in, increasing slowly but steadily. But until they all show, people don’t call us old. That’s why we don’t acknowledge that a youthful, vibrant person is aging. We don’t say “Wow, you are really aging, you don’t look young any more.” We wouldn’t like to hear that said to ourselves. It is unavoidable and somehow we all know it. So we try to avoid aging; we rub cream and lotions on our faces to make sure it does not happen too quickly. We don’t want to age; we don’t like impermanence. However, whether the shape or surface of the skin changes or not, our bodies are in fact still deteriorating. We cannot change the fact that our life span is slowly running out. To merely attempt to alter the surface is hollow. The fact that we like youthfulness and we dislike aging is due to our aversion towards the fact of impermanence. Although we don’t want to die, we are still unable to avoid it. At the moment of death we cannot bring anything with us; our mind travels on by itself. Our consciousness will then depend on its good and evil tendencies. If a mind has only a little negative karma and disturbing emotions, then it is called a pure mind, a noble mind. If it has a lot of disturbing emotions and negative karma then it is called an evil mind. An evil mind produces a lot of misery. A pure mind does not suffer much. Isn’t it true that if we have a very enjoyable, pleasant day, we have quite undisturbed dreams as well? Whereas if we have a lot of anxiety and fighting in the daytime, then our dreams can be really troublesome at night. That is called the creation of habitual tendencies. Our disturbing emotions and actions create a habitual imprint in the ‘all-ground’ (alaya), the basic consciousness. This disturbed frame of mind must be quickly purified, because everything is impermanent, there is nothing that is stable or sure. We can tell ourselves “I will quiet down my busy mind tomorrow or later,” but there are different types of tomorrow. One kind of tomorrow looks quite a lot like what we experience right now. Another tomorrow is to find ourselves in a completely different place after having died during the night. As our attachment and clinging to the pleasures of this life decrease, we start to gain some taste for understanding the real nature of things, which in Buddhism is called ultimate truth. Hence we will begin to engage in spiritual practice. We will be interested in the Dharma and will acquire a taste for it through learning, reflection and meditation—not merely engendering a fickle minor interest, but a strong interest. A real understanding of impermanence ensures that we become unshakable; we will never turn back from Dharma practice. Our disturbing emotions, our anger and desire, all diminish, because we begin to think, “What is the use, nothing lasts anyway, so why bother.” We start to have the idea that nothing mundane is really worth striving for, since it is all pointless and futile. This kind of attitude will gain force over time and is very beneficial for realizing ultimate truth. So, reflecting on impermanence has many purposes. First, through it we develop some taste for the Dharma. Then strong interest in the Dharma arises and we really start to practice. Finally it is the best tool to use to perfect the practice. I have just explained the first of the four maxims or indisputable truths of the Buddha: “Everything conditioned is impermanent.” Reading this is the learning aspect. Next, you should ponder it by asking yourself, “Is everything impermanent or not? What does it mean?” This is the process of reflection. Finally, the meditation aspect is to apply the recognition of impermanence to ourselves personally. The result of this is that we start to feel acutely “I don’t have that much time to waste!” People have at most eighty or ninety years, but even that is not sure—we can die any time. When not giving much consideration to the fact of impermanence, one procrastinates. When clearly seeing the fact of impermanence it becomes completely impossible to postpone spiritual practice. The traditional examples given to illustrate this point involve a coward who sees a snake in his lap and a vain girl who discovers that her hair has caught fire—both will jump up immediately, without the slightest hesitation. I can not stress how important the understanding of impermanence is, although admittedly it doesn’t sound nice. It sounds much better to say everything is permanent, everlasting, that there is no death, there is no sickness, no pain. That sounds great, exceedingly pleasant, but unfortunately it’s completely false. We do get sick; we get hurt and suffer; we die. If something is conditioned, it follows that it is impermanent. Think about this. If you find something that is both conditioned and permanent, please tell me. 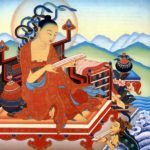 Student: The three disturbing emotions that you mentioned, Rinpoche—are they also the three mind poisons? Rinpoche: Yes, we say three poisons: anger, desire, and stupidity. If we count five, the additional ones are pride and jealousy. When we count six, we add greed or stinginess. These can be subdivided further, until there are 84,000. 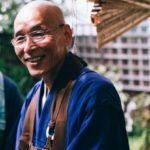 Student: When we have received a Dharma teaching, is it better to contemplate the teaching alone or to discuss it with others? Rinpoche: You can do both. Sometimes you can sit and reflect upon what is said all by yourself, that’s very good. It’s very good also to sometimes discuss it with others, but it’s not good to argue about it. Student: When you were talking earlier about shamatha and vipashyana, I was wondering if shamatha naturally turns into vipashyana or does one need to learn and study about both? Rinpoche: It doesn’t happen by itself. You need to receive instruction. In addition to shamatha, we need to learn vipashyana. Student: Does one need to learn one after the other, sequentially? Student: Could you explain how to make shamatha and vipashyana go together in practice? Rinpoche: Vipashyana, clear seeing, in this context means resting in basic wakefulness. It is also called the wisdom in which the qualities of two types of supreme knowledge are present: the knowledge of knowing the nature as it is, and the knowledge of perceiving all that exists. Shamatha, on the other hand, is simply resting calmly, undisturbed or unruffled by emotions and thoughts. Compared to the normal state of mind, which is completely disturbed, it’s at least forty or fifty percent clean. However, when measured against the state of a buddha it’s not that impressive; it’s somewhat obscured and dull. How do we combine or unify shamatha and vipashyana, stillness and insight? First of all, in the case of shamatha, we train in resting peacefully, undistracted by thoughts and emotions. In this state, we are not occupied by any coarse dualistic fixation, but there is still a subtle notion or feeling of there being something upon which we dwell and a dweller. There is something that notices or abides peacefully. There is no coarse abider in this state of peace; and it’s precisely because it’s not a gross state that it feels nice. But there is some subtle sense of dwelling. Now, what is that state? Is there anything that really abides in peace? Is there any tangible stillness? The general state of shamatha involves some subtle fascination, some subtle attachment. It’s very good in the beginning to develop a sense of stillness. Having accomplished that, we need to destroy it, to make the dwelling on stillness fall apart. The only way to do so is by seeing clearly through vipashyana that there exists neither something to dwell on nor someone who dwells. Nothing else can really uproot such a subtle fixation. Student: What is the actual practice of vipashyana, since it is not a conceptual training? Rinpoche: Our basic state, our innate nature, does not require any effort on our part. We can call that buddha mind. Buddha mind is free from dualistic experience, dualistic perception. There is no “I”. The clinging to the idea of an “I” has disappeared or subsided. But there is still wakefulness, which is the unity of emptiness and compassion. Without that wakefulness, the qualities of the supreme knowledge of buddhahood wouldn’t be possible. On the other hand, the normal tendency of ego-clinging, which holds the notion of “I,” is dualistic experience. Where there is dualistic experience, there is attachment and aversion. When there is attachment or aversion, there is also like and dislike, joy and sorrow, hope and fear. Why is that? We can call it a natural quality, we can call it a defect, but all these result only from ego-clinging. The opposite of that frame of mind is in Buddhism called egolessness. Egolessness is the state of enlightenment or omniscience. That state also has some qualities. If it was totally devoid of qualities, there would be absolutely no point in us putting any effort into attaining enlightenment. The state of buddha mind, our innate nature, is beyond the reach of the intellect, beyond concepts. It is also completely effortless. But in order to realize it, to arrive at that state beyond concepts and effort, we need to use the intellect, we need to use some kind of deliberate method. It is only possible to mistake a fake to be the real thing if the real and the fake look alike. If they don’t, we will not make the mistake. Similarly, within our minds there is something that is real and something that is fake. Because we can’t really see the difference, we mistake the fake for being real. What you should realize is the state that is totally free from concepts and intellectual effort, the buddha mind that is not an object of dualistic mind. This is the real thing. There is also something that looks like it, that is very close to it. This is a state of mind that is free from concepts, in which we are kind of spaced out, absent-minded, vacant, oblivious, free from thought and emotions. It is an incredibly great mistake if for some reason we believe that state to be the true state of enlightenment. That’s one of the major reasons why we should study and reflect upon the teachings. Think of it this way: when we go shopping, it is very important to know what is real and what is an imitation, right? If we know the difference between a real and a fake before we reach the store, then it’s not a problem. It’s because an imitation looks like the real thing that we can make a mistake and deceive ourselves. So the vital question now is this: what is the nonconceptual state really like? These days there are so many books on Buddhism. We can read about how the innate nature is, how the buddha mind is. It is beyond concepts, it’s inexpressible, inconceivable, indescribable, and so on and so on. Merely to think “All right, the buddha mind is beyond concepts,’ is not enough. We need to know this personally and for a fact. Okay? Student: Is there a difference between awareness, self-existing wakefulness, and the vipashyana that you have just explained? Rinpoche: At first glance, there’s no difference, but when you get down to the details, the nitty-gritty, there is some degree of difference. When you really get down to refining the core of it, there is some difference. I think it’s too early to address that now; let’s return to it later. Student: I cannot distinguish between shamatha without reference point and vipashyana. Please explain. Rinpoche: Briefly put, the difference is clarity. Shamatha without object doesn’t have enough clarity; there is some dullness. There is no disturbing emotion, so it’s good, but the dullness makes it imperfect. To arrive at the unity of shamatha and vipashyana, that inertness needs to be cleared up. The clarity that is necessary to clear away the dullness is unlike the clarity of normal intelligence, which is always dualistic. The brightness of undivided shamatha and vipashyana, the unity of the two, is not dualistic. Vipashyana means seeing clearly, a sense of brightness—being awake without dullness or obscuration. Because it’s not being covered by the dualistic brightness of normal state of mind, it is beyond any worldly or mundane state. That’s it. Student: When practicing, will one sometimes flick back and forth between shamatha and vipashyana? Rinpoche: In the beginning, yes, but after growing more accustomed to the practice, there is no flicking back and forth. There are of course many types of shamatha, but the one called inert shamatha is definitely no good. It’s almost like becoming a potato. Student: I believe that all experience is conceptual, so therefore experiences and perceptions obscure the truth of the innate nature. I wonder can experiences and perceptions also function as helpers for realizing the innate nature? Rinpoche: Yes indeed, conceptual experience can either help or prevent understanding and realization. It is an either or situation. The key is that experiences in themselves do not harm or prevent anything. It is our clinging, our attachment to the perceived, that makes the problem. Simple perception without any attachment or fixation is not harmful. In the higher vehicles of Buddhism, experience is given other names, such as ‘expression’, ‘display’, and ‘adornment’. At first glance, that might seem very strange, but when we start to understand further, this point becomes very, very interesting. There is a way of pointing out that all experience, whatever is perceived, is mind; that the mind is empty, that this emptiness is beyond constructs, and that unconstructed emptiness is self-liberated. Traditionally there has been quite a lot of discussion about whether or not perceptions and the perceived objects are both mind. The perceived objects are considered ‘expressions’ of mind, but they are not the mind itself. Each different system of Buddhist teaching, if really understood correctly, becomes incredibly beneficial to reach realization. If we say whatever is perceived is mind; mind is empty; and emptiness is beyond conceptual constructs; that is a very reasonable and practical way to follow. On the other hand, when we start to understand that perceptions are mind but that perceived objects are not, that they are the expression of the mind, this too is very practical. Perception is a word we use based on something perceived, referring to perceptible objects. But without a perceiver, how would an object be perceived? What would perceive it? You also can’t have just a perceiver without anything to perceive. It all comes down to the fact that it’s a seeming combination of factors that creates experience. There are seemingly objects, there are seemingly sense organs, there is seemingly consciousness, and these all must coincide to allow experience. Then we can say “I see, I hear. I like this; I don’t like that.” As long as we don’t investigate this too closely, it seems like it’s really taking place, that there are real objects, sense organs, and consciousness. It seems like these interact and experience really takes place. We feel that without them coming together there would be no experience possible. Once we start to examine this process in detail, though, we never find any real meeting of the three separate concrete entities involved—objects, sense organs and consciousness. The truth is, none of these entities really exist anywhere. Yet, at the same time, no perception can take place without their meeting. This is the very reason why the Buddha said everything is like a magical illusion, like a dream. As long as we don’t question or examine, then everything seems to actually take place. Through the eyes, our consciousness meets visual objects and we see them. But through close examination, we find that this apparent meeting is not so. The experiences such as “I see, I hear, I touch,” are all superficially real—they are relative truth. This is called dependent origination, perception that appears in dependency, through one thing’s dependence on another. Without a mind, with only the objects and an eye, there would be no seeing. When we look from the perspective of that which is truly real—the ultimate truth—there are no such factors as outer objects, sense organs or a mind that connects. The fact is that once we discover the nature of the superficial, the relative truth, that in itself is the ultimate truth. There’s a famous quote by Nagarjuna, “When conditioned phenomena do not exist in any way, how can the unconditioned be said to exist?” He said this in the Mula Madhyamika Karika, an extremely reasonable and very interesting text. We could go into more detail about this later. Student: You talked about avoiding disturbing emotions, and I’m wondering how to go about this. For ordinary people disturbing emotions happen all the time. It seems that I can only do one of two things. Either I can carry out whatever comes into my mind, like beating up people and saying nasty things when I get angry. Or, I can try to suppress and keep down the disturbing emotion of anger. Neither of the options are very appealing. What is the best approach? Rinpoche: We can certainly all relate to getting angry. There are actually four possibilities. The worst-case scenario is when we are angry inside and we act it out. Or perhaps we control ourselves outwardly but are still angry inside; this is not so bad. In a third case, we’re not really angry inside but we act like it. This is really quite rare. The best situation is to neither display anger nor to feel it. How to discover true nonaggression is something we’ll get to in the next few days of teachings. Student: Is the practice in all the Tibetan religious traditions the same? Rinpoche: All of the different Buddhist traditions teach both shamatha and vipashyana. There is some difference in terms of the extent to which they emphasize one or the other. 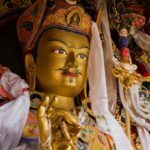 In the Kagyü tradition, shamatha is primarily taught at the beginning, while in the Dzogchen tradition it is not given that much importance. But all Buddhist traditions teach both shamatha and vipashyana. Student: In which tradition is it said that perceptions are mind, but the perceived objects are not, and that perceptions happen because of perceived objects? Rinpoche: The teaching that perceptions are mind and that the perceived object is not mind, comes from Longchenpa. The question about whether perceptions and perceived objects are mind is possible to answer only after understanding that the mind itself is empty, and therefore that which perceives as well as the perceived are both empty and devoid of any concrete existence. This topic is really complicated; we’ll get to it eventually. Student: You mentioned that we need interest, trust and mindfulness in order to be qualified recipients of Dharma. What should I do when these are not so strong? Should I apply more effort? Rinpoche: Yes, definitely apply effort. Also realize that interest is also dependent upon the depth of our understanding. As we understand more, we get more interested. Without already having some understanding, we wouldn’t be interested at all. The Buddhist teachings are extremely extensive and profound, as well as being very reasonable and well-founded. They make sense, and as we understand more and more, our interest grows correspondingly. As our interest becomes stronger, our respect, trust and presence of mind will all increase as well. When something is true, the more we study and contemplate it, that much more we will become interested. 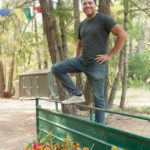 Student: Rinpoche, can you describe more about the imprint that you say habitual tendencies leave on our consciousness and how that imprint is passed on to the next life. 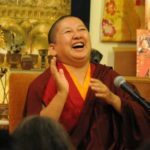 Rinpoche: If you have a really intense argument, an almost physical fight with somebody, and are upset, when you go to sleep and wake up the next morning is there any remnant of that or not? Do you feel some anger still left? 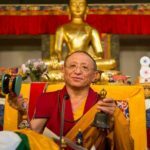 Rinpoche: Do you need to think about it or build it up or is it already there? Student: It is just there. Rinpoche: That is the type of imprint we call habitual tendency. During the state of sleep it is not manifest, but it is latently present. That means that the all-ground, the alaya, had received some imprint, and that a tendency was created. Student: I hear that consciousness is impermanent. Is this what the alaya is, is it an impermanent consciousness? Rinpoche: You can say it has continuation but if you want to discuss whether the all-ground is permanent or impermanent you get into a lot of details concerning the all-ground or alaya. Because if you say it is permanent then there is something wrong with that. If you say it is impermanent there is also some fault in that. Student: So the imprints are impermanent? Rinpoche: Definitely in themselves they are impermanent. The alaya is actually a continuation, and while continuing you can say it lasts. Yet once the continuation ceases then it is impermanent. For example, take the flow of water; does it last or is it impermanent? Student: As long as the water is flowing it is permanent. Rinpoche: No, because the process of flowing means it is always changing, not lasting. Isn’t the surface moving? Student: Still, there is a continuation. 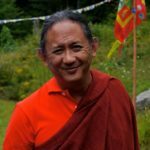 Rinpoche: What is the word continuation used for? Where do you place the label? Student: On the flow of water, on the action of flowing—not just on the particles of water. But what you refer to as continuation of an imprint or of alaya seems like a permanent phenomenon. Rinpoche: There is a term for that in Buddhist philosophy: ‘continuing resemblance’. Something like the former appears in its place. It resembles the previous phenomenon and has a similar cause, but it is not the same. Student: What happens to the state of mind of a baby who dies? Rinpoche: If it is an infant, its concepts of this world have not really developed, so maybe there is not so much anxiety. It has not developed the idea of this and that. Student: Would you please explain how we can avoid turning away from the Dharma path if everything is impermanent? How can we be sure never to turn away from it?